Yes, you can legally ride a bicycle on the sidewalk in San Francisco. Sometimes. Recently, there was a bit of media kerfluffle about bicyclists! In San Francisco! Riding on the sidewalk! Which is illegal! Except that it turns out that it’s not necessarily illegal. In San Francisco, riding on the sidewalk is actually mostly illegal, but not completely. It’s worth knowing the rules. I have ridden on the sidewalk in other cities, where it is legal to do so anywhere, and I will admit: when the roads are unsafe, which is often, it is a huge relief to be able to decide, “To heck with this. 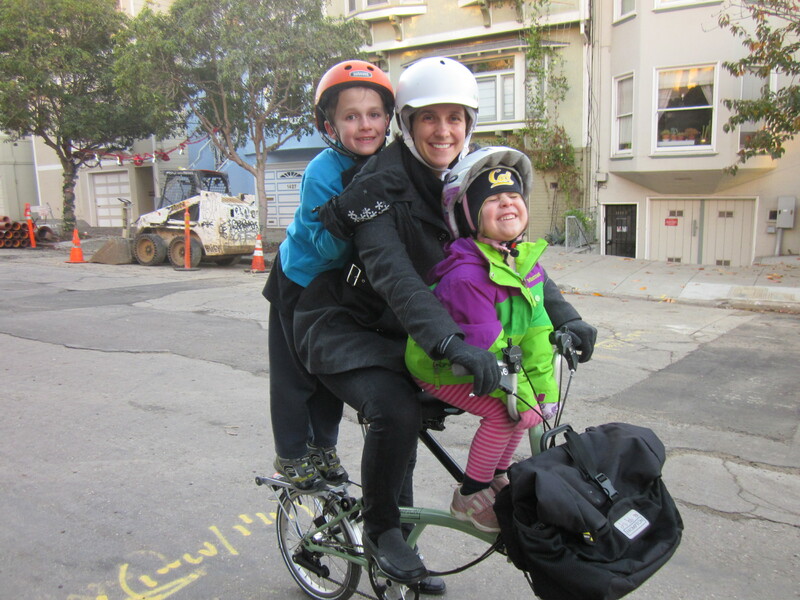 I’m taking the sidewalk.” I can’t think of a single US city that has a bike network that is complete enough that no one would ever feel endangered while riding on the existing bike “infrastructure.” In contrast, even five year olds feel safe riding bikes in Copenhagen. Ours did. I get why San Francisco looks askance at bicycles on the sidewalk. There are a lot of people on foot in San Francisco, and the sidewalks can get crowded. What that really means is that the sidewalks should be wider, and there should be protected bike lanes, so there’s room for everyone to move safely, but this is not the world we live in yet. That said, since I was hit by a car, there are times and places when I look at the road, then look at the sidewalk, and decide it’s not worth the risk of being technically legal. 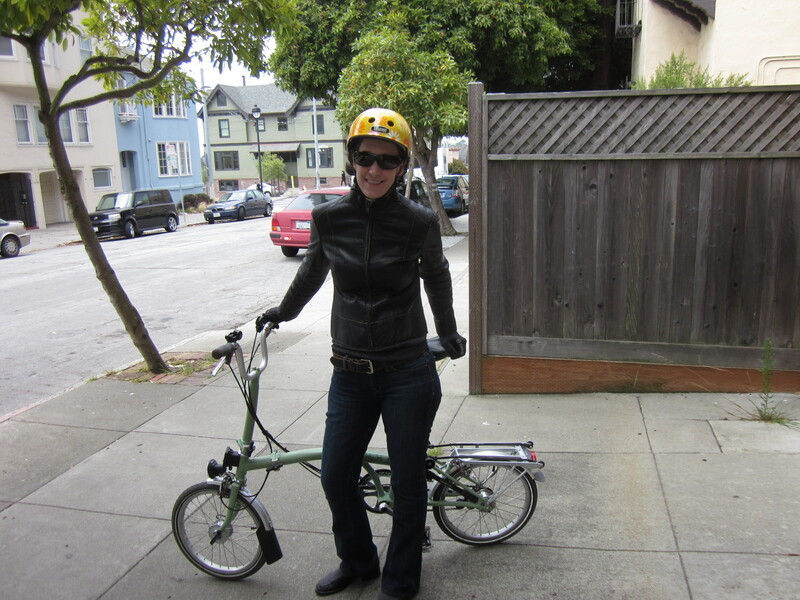 So for example, on the half-block of California Street between Presidio and the driveway to my office, I often ride on the sidewalk. That’s because California Street is basically an urban freeway and there is not even a painted bike lane. I also feel completely justified riding on the sidewalk to get to a bike rack, because duh. If cars can cross the sidewalk to get into a garage then I can cross it to get to a designated bicycle parking spot. There are a lot of places in San Francisco, however, where you don’t have to decide whether it’s safer to break the law, because there are times and places where it is perfectly legal to ride on the sidewalk. Here are the ones I know about. You are a child. It is always legal to ride on the sidewalk if you are a little kid. 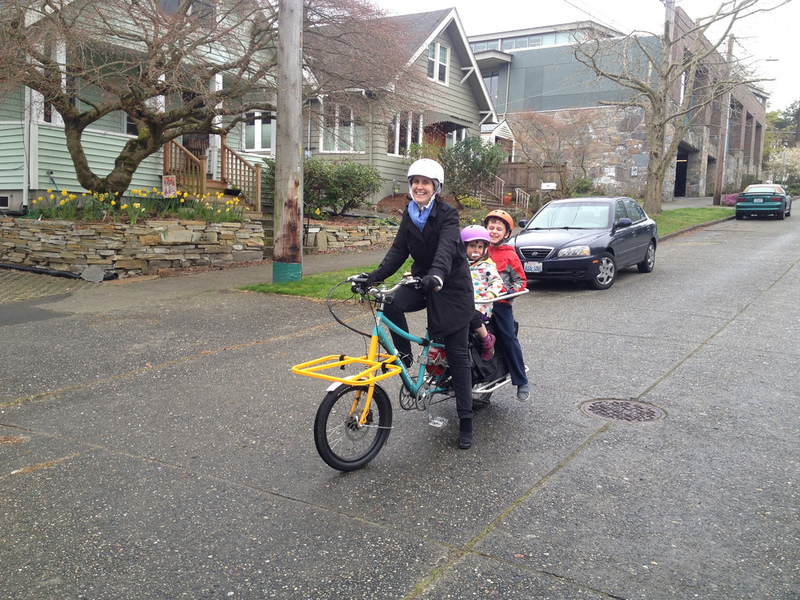 I have heard conflicting reports about whether it is legal for a parent to accompany a child riding on the sidewalk. It is sort of a pointless exception if it’s only legal for unaccompanied kids to ride on the sidewalk, and parents are supposed to ride on the street, but I’ve long since given up expecting laws that relate to bicycles to make sense. You are riding along the perimeter of the city (mostly). Starting along the Embarcadero at the eastern edge of the city, up north from there through Fishermans’ Wharf and Fort Mason, west along Marina Boulevard and into the Presidio through Crissy Field: it is legal to ride a bicycle along the sidewalk at the water’s edge anywhere here. 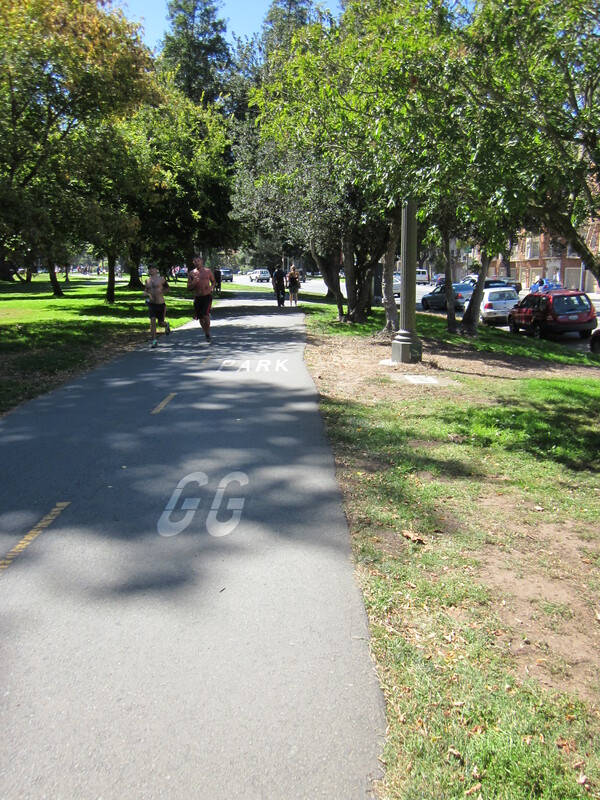 These are designated bike routes and sometimes even marked (for example, a bike lane is marked on the pavement on the Crissy Field path, although the markings are usually covered with sand from the beach). West of there is a shared bicycle-pedestrian path all down the western edge of the city along the Great Highway. There are some parts of the city’s perimeter that I don’t know about. At the southeastern edge of the city in Bayview/Hunters Point we’ve never found an obvious path along the waterfront, and based on our experiences around India Basin, which seems to be blanketed in broken glass with cars parked blithely in the street and on the sidewalk, it wouldn’t be the most fun place to ride. On the other end of the income spectrum, there’s a little gap between the Presidio and the Great Highway at Sea Cliff. I doubt that it matters. The few times we’ve ridden around that neighborhood I felt perfectly safe riding on the street, as it seemed probable that the ample private security forces up there would immediately surround any car moving at more than about 15mph. You are riding east-west through Golden Gate Park. Although there is now a parking-protected bike lane along part of JFK Drive, there are still metal plates set into the sidewalk all along JFK Drive indicating that it is a shared bicycle/pedestrian path. The same plates mark Kezar Drive and various points where bicycle/pedestrian paths enter the park from Fulton on the north side and Lincoln on the south side. The Panhandle, which stretches east of the park from Stanyan to Baker, also has a shared bicycle/pedestrian sidewalk on the north path. You are riding along Mission Creek. I have never actually seen this marked anywhere, but local bike shops swore that it was a shared path. I have heard that there are other places where it is demonstrably legal to ride on the sidewalk, such as a crossing under 101 where bicycles are instructed to take the sidewalk, but I have no personal experience. I know it’s legal to ride on the sidewalk in the places listed above because I’ve ridden them, but I’ve hardly ridden everywhere in this city. Any other places where it’s legal to ride on the sidewalk in San Francisco? On June 3rd I had my final surgery on the leg that was run over. On June 17th, one month ago, I went back to the surgeon’s office to have my staples and bandages removed, and get clearance to walk (and ride a bike) again. The staple removal was uneventful, although painful, and I walked out with permission to do almost everything I could do up until the moment I was hit last April. WHOA. I understand why they didn’t mention that then, but it was a nauseating thing to hear. 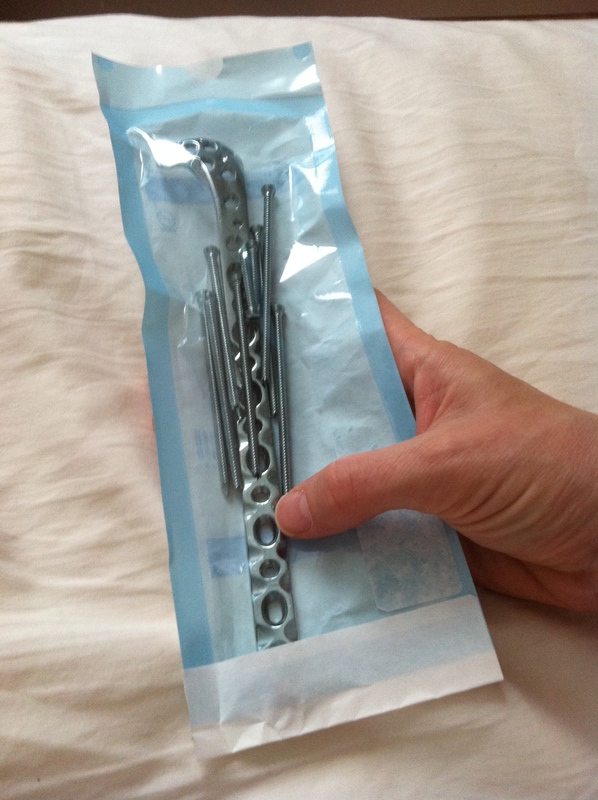 Once again: this is the hardware that came out of my leg. Dang. Thanks to good luck and evidently, to clean living, I am walking better now that I was when all the hardware was still in my leg. People at work tell me that my gait is smoother, and they can’t tell I was ever hurt. The office is not the most challenging walking environment, it’s true, but it’s a good sign. There are still some odds and ends to deal with. Running and jumping are out of the question for the rest of the year. I remain as weak as a kitten when walking up hills and stairs, although I get practice with that here in San Francisco whether I want it or not. I’m not thrilled about the 15 pounds I gained over the last year of reduced activity (but on the up side, now that I’m moving again I’ve already started losing that extra weight). My scars still look pretty grim. I know they’ll fade over time but even so I’ll be wearing long pants for the rest of the year, both because the scars are susceptible to sun damage and because I prefer to cover them given some of the looks I got last year. In the grand scheme of things these issues are pretty trivial, and none of them are permanent. People still ask me if I was scared to get back on the bike. Honestly, after four months being almost completely immobilized last year, my stir-craziness outweighed any residual fear. I was over it. I couldn’t walk well for months after I was allowed to walk, but I learned pretty quickly that I could ride a bike almost as well as anyone, at least on the flats, and I had an electric assist for the hills. Riding a bike made me feel normal again. I’ll admit that I do still get anxious making left turns—I now make Copenhagen left turns almost all the time. After several visits to the orthopedic institute, I also have some perspective that I didn’t have before. Basically every patient I saw there under the age of 80, other than me, had been injured in a car. These people were traumatized. They were, understandably, afraid to get back in their cars. They did it anyway, because they felt like they didn’t have a choice. And in some cases they were right, because that’s how the US is designed. But their fear was justified. One way is to try to wear armor, investing in strategies like driving a bigger car or riding the bus. Sometimes that works and sometimes you end up in the orthopedic institute like all those people I met in the waiting room. Or worse. When I was pregnant with my son, a driver rammed my car from behind while I was stopped at a red light and I spent the next month on bedrest to keep from miscarrying. The more time you spend being around cars, no matter how big the bubble you build around yourself, the greater the risk. Another way to approach the risk of being around cars is to simply be around cars a lot less. Drivers can’t hit you if you’re hanging out in places cars can’t go. The first step is to cut back on riding in cars: I don’t think it’s a coincidence that my surgeon commutes by bike. A lot of bicycle travel can be through parks, or on quiet streets, or (more recently) in protected bike lanes. In other cities people can legally ride on the sidewalk when cars feel too close or traffic is too fast—and in San Francisco, there are a few scary places where I too will ride on the sidewalk now, even though it’s illegal. Protected infrastructure and its near-equivalents are increasingly common, and they’re worth seeking out. It’s certainly possible to make riding a bicycle really dangerous by getting up close and personal with cars at every opportunity, but there’s no requirement to ride that way. I chose to be around cars a lot less. That includes staying out of cars when I can, even though it’s not practical for us to avoid them entirely. Active transportation has other rewards as well—I’m a lot healthier, and I healed better than anyone had expected when I was hurt. It’s also the fastest way to move through the city, and it’s always easy to find parking. The greatest reward of all, of course, is that it’s a fun way to get around. I understand now why people who love skiing or rock climbing or hang-gliding accept the very-real risks of their sports, and return from their injuries ready to start all over again. But biking is not like rock climbing—every study of bicycle commuting has found that I’ll live a longer and healthier life, statistically speaking, if I keep riding. And so I do. It’s more powerful than it appears. 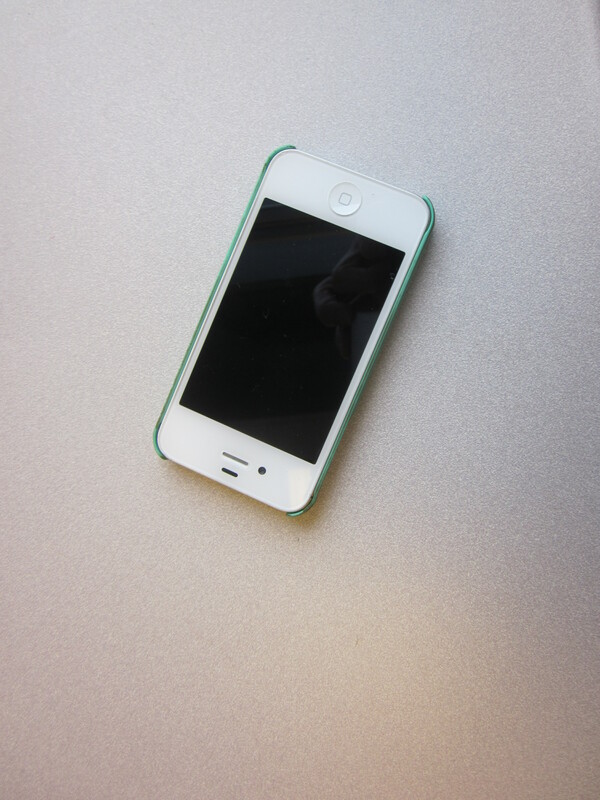 When we sold our car, I switched from a dumb phone to a smartphone. I wanted to be able to check bus schedules and arrange rental cars or rides easily, and for those purposes, the smartphone has performed admirably. I’ve also become one of those people who texts my husband from the bedroom while he’s in the kitchen. This is arguably less admirable, although I prefer to think of it as modeling a way to communicate without yelling. Goodness knows that message hasn’t taken yet with our kids. Although I try not to make my attachment to the phone a 24/7 thing—I put it away at least one weekend day and am obligated to turn it off for almost all work meetings—I am more engaged with my phone than with any other device I’ve ever owned. I’m not unique in this. And in many cases this is a clear win for humanity: since the advent of camera phones, for example, reports of UFO sightings have pretty much disappeared, and that’s a mercy. Nevertheless, it’s been hard not to notice the increasingly vehement urging that people should put their phones down. In some cases this makes sense to me: I embarrass myself when I am checking the phone as my kids are talking to me. Bad parent! I’m far less impressed with recent arguments that people should put their phones down while walking. If you don’t pay attention to traffic, the argument goes, you’ll be run over. The San Francisco police department had a whole campaign along these lines, and I found it offensive. Trust me, you can be run over while paying plenty of attention to traffic. I speak from experience. More to the point, though, no one should ever be run over in a crosswalk. Only reckless drivers pay so little attention that they run people over, and they can manage that whether you’re paying attention to the road, paying attention to your phone, or you’re a little kid crossing the street with the light while holding your dad’s hand. Pedestrians don’t kill themselves. Drivers kill them. I am, in contrast to SFPD, a huge fan of people using their phones while walking. And the reason why became very clear recently while I was walking with my kids down Fillmore. A driver making a left turn slammed into a motorcycle, toppling it over and knocking its rider into the street. A dozen people with their phones in their hands began taking pictures the second it happened, and kept taking pictures and videos as the motorcycle rider staggered up and the car started to drive away. I didn’t have my phone out and so I watched the driver, who looked back at the motorcycle lying in the road, started to accelerate the heck out of there, and then noticed two people in the crosswalk filming his car and zooming in on his license plate. At that point, he decided to pull over after all. People walking with their phones out prevented a collision from becoming a hit-and-run that evening. Something very similar happened when we were hit last year. Golden Gate Park is full of walkers, and they had their phones out, taking pictures, when they saw what had happened. There was also a sheriff’s deputy in the crosswalk who ran over to us yelling, “I’m a sheriff’s deputy!” so it’s hard to say whether the driver who ran us down was ever tempted to hit-and-run. However if he had been, we would have had recourse, because of all those people who ignored the advice to put their phones down. When I see people walking and using their phones now, I am grateful. I feel that way even if they’re distracted and they sometimes walk into me. 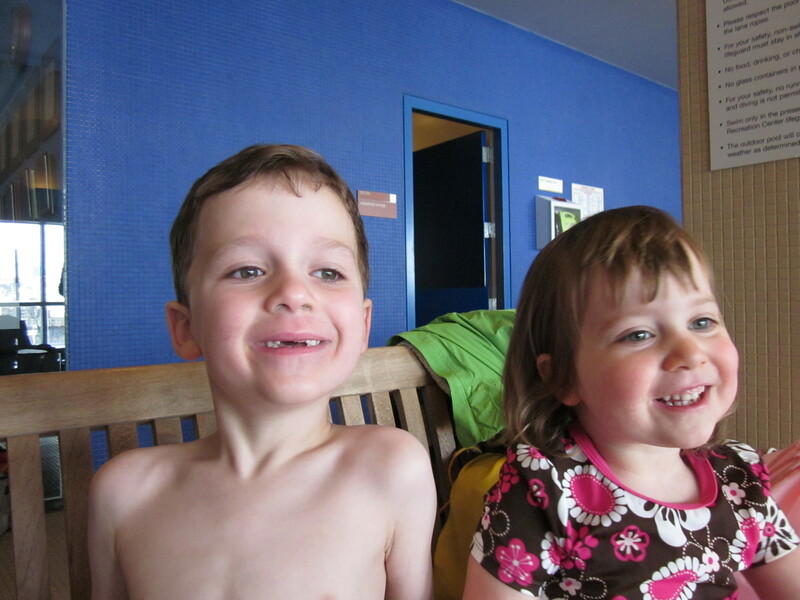 Bumping into me is annoying, true, but nothing that I don’t get already from my kids. More importantly, though, it’s a price I’m happy to pay because I know that the more phones that are out, the safer I am walking and riding on the streets. My smartphone is useful and fun and it makes my life easier. But it’s a game changer because it keeps people from getting away with murder. Don’t you worry that it’s not safe to ride a bike with your kids? 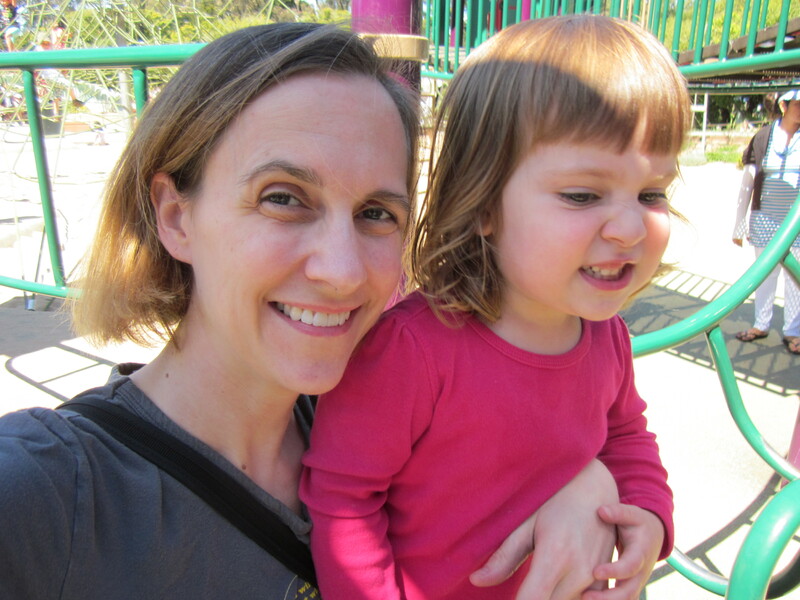 Before we had our son, people tried to explain what it was like to have kids. It was impossible. They said it was like having your heart walking around outside your body. It’s not like that for me. When I think about my children, I think about falling in love. You fall in love, and everything is passion. It’s like being cast in your own personal opera. Everything your beloved does is beautiful. Every fight is world-ending. It seems like the feeling will never end. But it does end. You get used to one another, and life fades into normalcy. You fight about the dishes and the world doesn’t stop turning. You settle down. 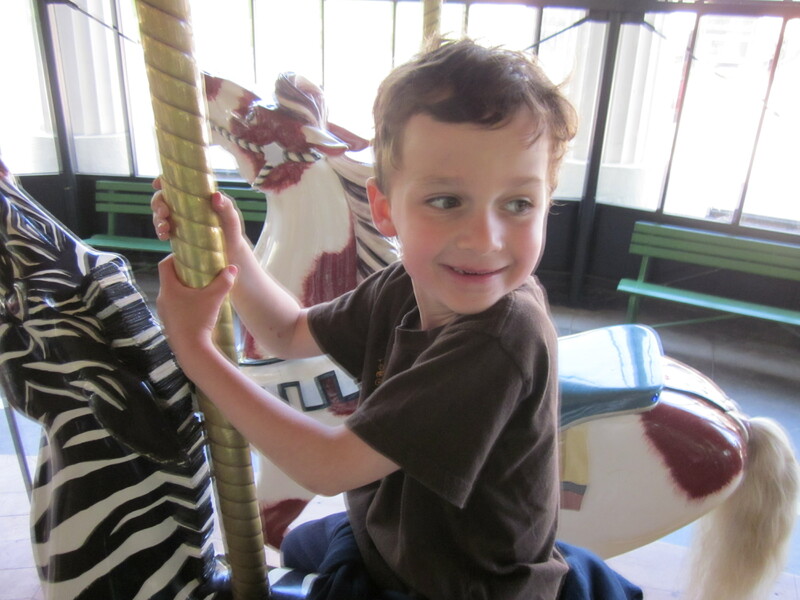 My son has ridden the Golden Gate Park carrousel since he was a year old. When my son was born I fell in love the moment I first saw him. A minute before we’d been told he was dying. My daughter’s birth was the same thing all over again. I have two children because I couldn’t stop with just one. I have two children because that’s as much as I could bear. And for me, what’s different about loving my children is that I’ve never gotten used to them. It’s still passion. Everything they do is beautiful. Every fight makes me want to kill them. They insist that I sleep with them, and I’m worrying about that paper that absolutely must be finished tonight, and I try to get up and get back to the computer and they grab my hands and their palms are sweating. “I love you infinity, Mommy!” they whisper urgently. “Don’t go!” And I stay. I am across the room and they are fighting and I see where it is going but before I can get to them one is bleeding and the other is shrieking, “I didn’t do it!” and the world goes black, in that moment I am literally blinded by terror and rage. It’s been almost seven years now. I haven’t gotten used to it. How could I? Every day they are different people. Every day I fall in love with them again. My heart isn’t walking around outside my body. My heart is right here in my chest, clenched tight as a fist. 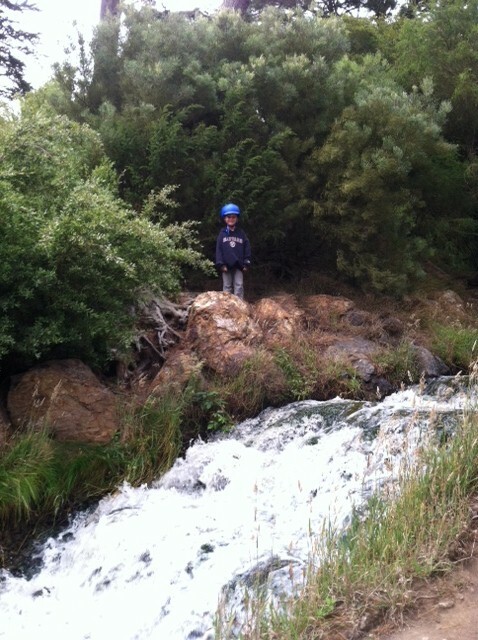 Rest assured that my daughter was trying to jump off something when this picture was taken. Do I worry about my kids? Sure. My daughter, who has never seen a vertical surface she didn’t want to scale and jump off, has been to the emergency department so many times that I have seriously considered making her one of those flip charts like they have at nuclear power plants: “It’s been X days without an accident!” (Fun fact: Matt and I took a tour of a nuclear power plant together, the first month we met.) Make it ten days in a row and you can have an ice cream cone, kiddo. 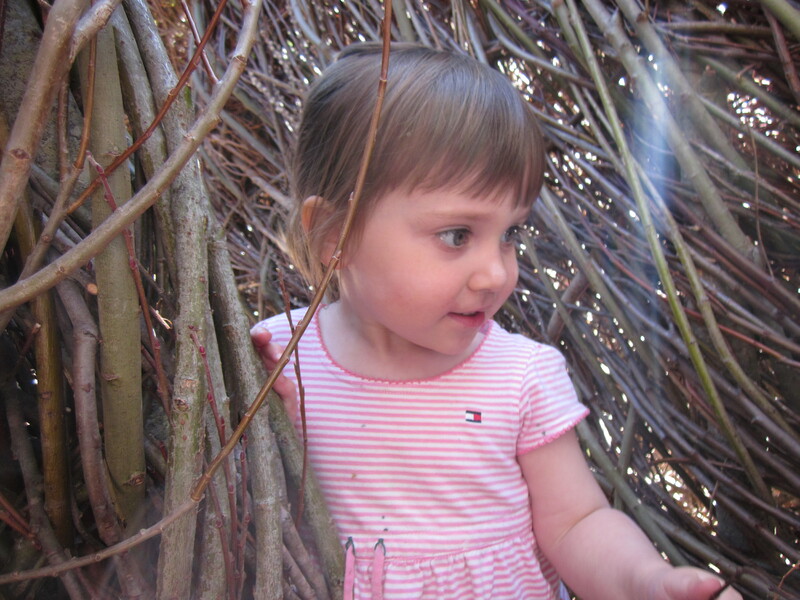 Every photo taken of her at preschool is in motion. 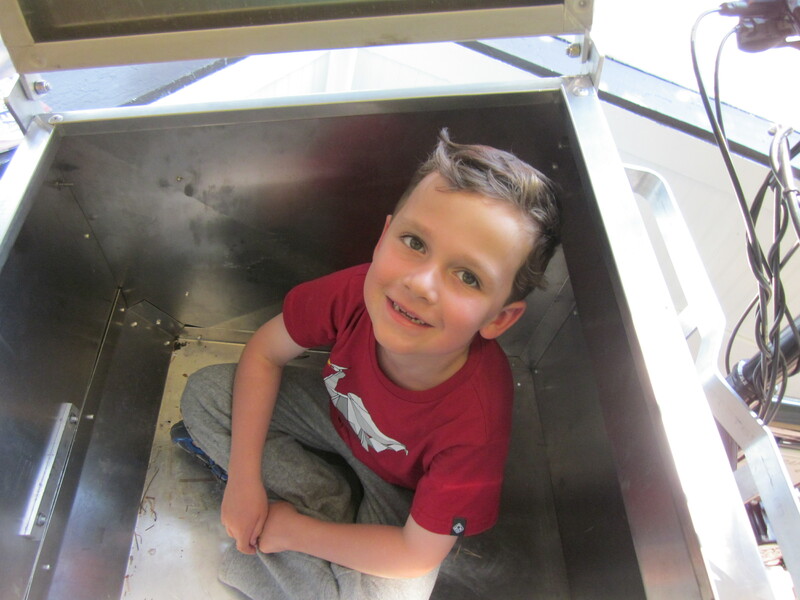 My son’s innate cautiousness used to worry me as well. I should be careful what I wish for. 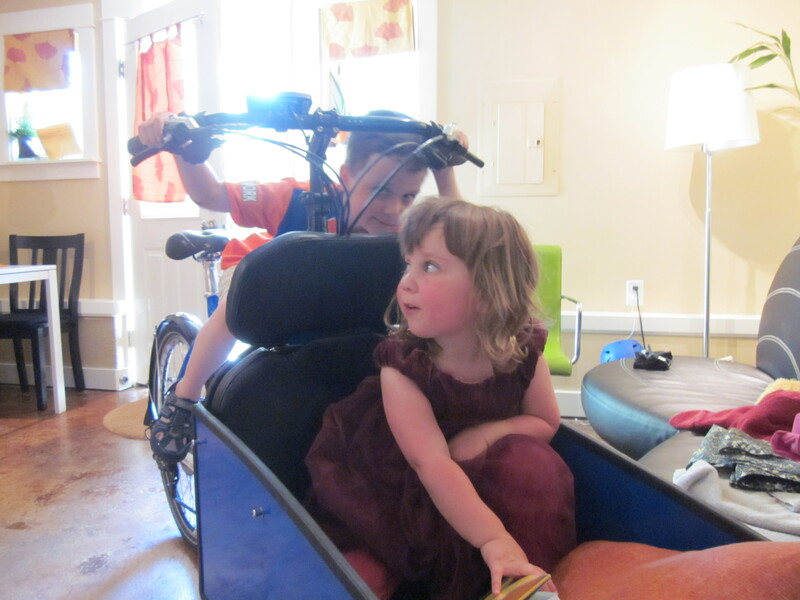 Learning from his sister, my son locked himself inside the delivery box of a Bullitt. 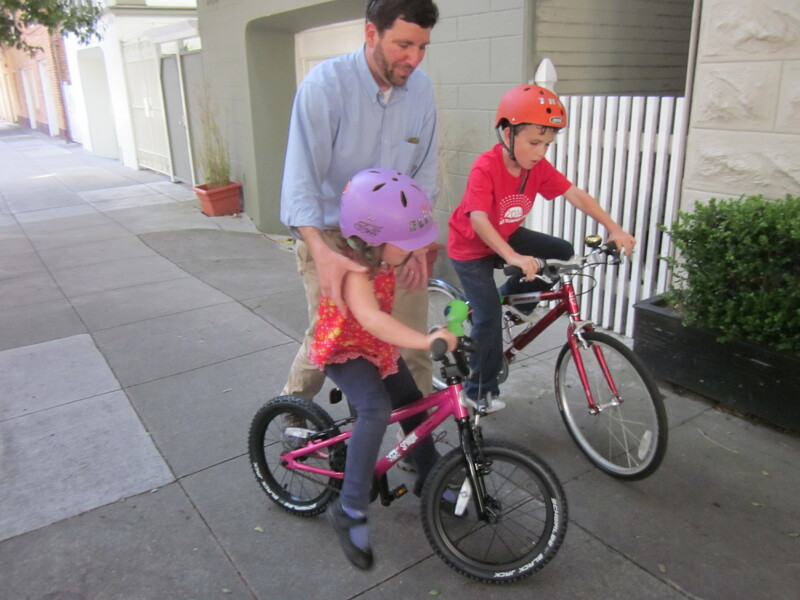 Do I worry that it’s not safe to ride a bike with my kids? Well, there have been moments, but not really. There are always moments, on or off the bike. When I walked down the street with my son as a toddler he was fascinated with everything. He would run into the street when he saw something exciting—letters on a sewer plate, a shiny bottle cap. (Why are streets so dangerous that kids can’t make mistakes? Only drivers get to make mistakes?) I remember driving in a rental car on a suburban strip when my daughter figured out how to open her door, and so she did, right into traffic as we were moving and we screamed, and she screamed because we were screaming, and we tried to move over to the side of the road and get the damned door shut, and then we sat there in the stopped car, panting, wondering if we’d ever drive again. 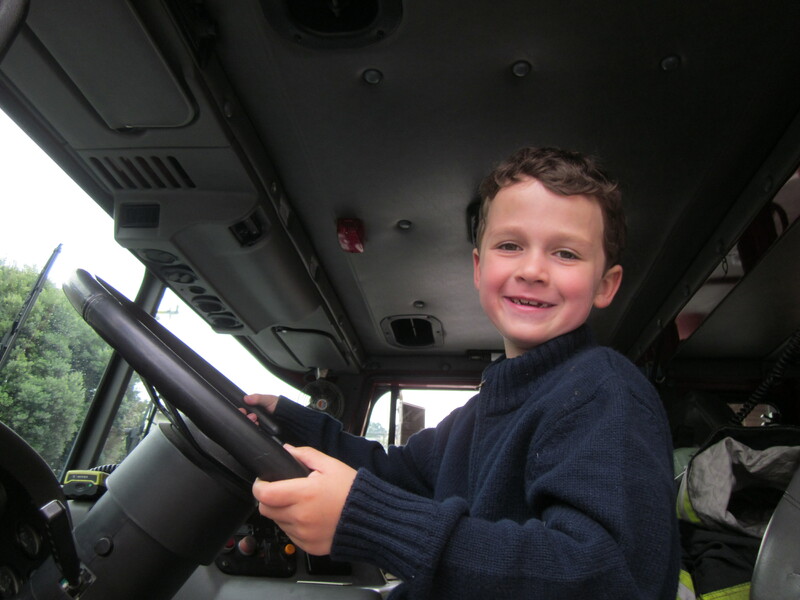 Sitting in fire trucks is fun, but my kids have little interest in ordinary cars. I don’t feel particularly threatened by city traffic on our bikes. People fear riding bikes because it’s unfamiliar, not because they’ve reviewed the evidence. Taken as a whole, public health research makes a strong argument for getting out of the car by any means necessary. And we are enjoying the ride. I don’t snap in frustration at my kids as I circle the streets endlessly, praying my son won’t get a tardy slip today because it’s street cleaning day and there is nowhere to park the damned car, there’s never parking in the city. I don’t get stuck in traffic and rack up late pickup fees as my daughter wonders why today she’s the very last one to be picked up at preschool. I don’t have to decompress from a stressful commute when we get home. Can we take the Bullitt? “Did you see that?” they ask me when we ride. Did you see that squirrel, did you see that dog, did you see the moon? Will you pick up that leaf for me? Will you carry my rock? Can we stop at the bakery, can we stop at the playground, can we stop at the library? Can we go to the beach? They have a new sense of direction. They know where we are. They ask: can we take 6th Avenue instead of 9th Avenue? Can we go past the Japanese Tea Garden instead of along JFK Drive? And now I say: yes. Yes, I see it. Yes, I will. Yes, of course we can.